Creepy character as a man aggressively tries to reconnect with an old classmate. 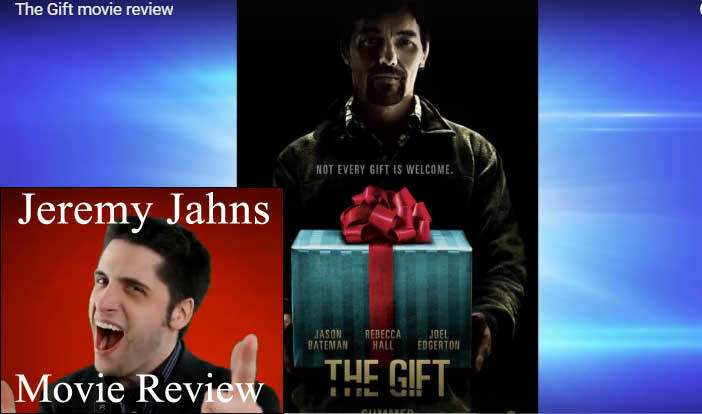 Jeremy reviews “The Gift”! A married couple’s lives are thrown into a harrowing tailspin when an acquaintance from the husband’s past brings mysterious gifts and a horrifying secret to light after more than 20 years. Be the first to comment on "The Gift Movie Review"